Look back at the way people lived, worked and traveled on the Bay by uncovering the details of historic sunken ships. Looking out at the Chesapeake Bay on a fair day, alive with many boats and ships, you might not suspect that the remains of many once-seaworthy vessels litter the Bay's bottom. More than 1,800 vessels have met their end in Bay waters. Shipwrecks, lying broken and battered on the Bay's floor, allow us to look back at the way people once lived, worked and traveled on the Chesapeake. Storms, collisions, ice, strandings, explosions and poor judgment all caused ships to go down. But fire was the most feared disaster. Fire could quickly spread through wooden ships and destroy them in minutes. Certain parts of the Bay are known for their treacherous shoals and exposure to dangerous storms. One of these areas is called the Middle Ground. Located between capes Henry and Charles at the mouth of the Bay, the Middle Ground is infamous for shifting sandbars. Ships often became stranded there and were pounded by waves until they broke apart, spewing their cargo and crew into the Bay. Sailing too close to the land often proved disastrous as well. Willoughby Spit, at the mouth of the James River, is another site that saw the demise of many ships. During wars, battles increased the usual hazards of ship travel. Many shipwrecks in the Bay are from the Revolutionary War, the War of 1812 and the Civil War. Direct hits from cannons, explosives and torpedoes brought down many ships during these wars. In 1774, unrest grew in response to British treatment of the colonies. It was during this year that the Peggy Stewart entered the port of Annapolis carrying a load of tea: a product explicitly banned by the county association. At a public meeting to decide the ship’s fate, citizens chose to burn the Peggy Stewart to set an example. The remains of the Peggy Stewart now rest in the reclaimed land below Luce Hall at the U.S. Naval Academy. In the late 1800s, steamboats became a popular way to travel around the Bay. But these boats were vulnerable to hurricanes and nor'easters, especially if caught in open waters with no cover. In October 1878, Express—a steamer on the Potomac Transportation Line—discovered just how violent the Chesapeake can be. Expresswas working her way north when a storm with gale-force winds struck. The waves’ fury snapped the steamer’s anchor chains. Unable to make safe harbor, the Express took the full brunt of the storm and capsized. Passengers from the Express were flung into the Bay, where they clung to bits of floating debris. Life boats from another streamer rescued many of the victims, but 16 of the 31 on board died. 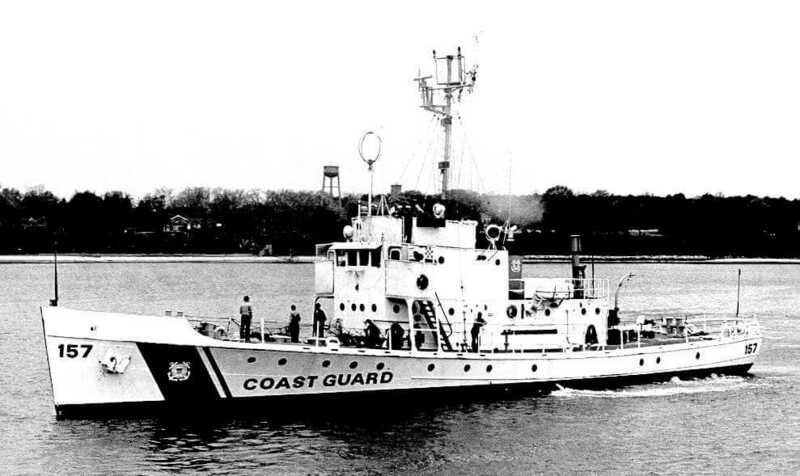 In 1978, the Coast Guard cutter Cuyahoga was traveling near the mouth of the Potomac River when a coal freighter slammed into its starboard side. The Cuyahoga was dragged backwards for a minute before rolling on her side and quickly sinking below 57 feet of water. The coal freighter rescued 18 survivors from the water, but the remaining 11 passengers were lost. A few weeks after the accident, investigators raised the Cuyahoga for inspection. The Cuyahoga was later sunk off the Virginia coast as an artificial reef. Marine archaeologists use old news reports and other records to help locate wrecks of possible historic interest. Excavation projects provide very important clues to our history. In the late 1970s, the Turtle Shell Wreck was discovered in the Patuxent River. The Turtle Shell had belonged to the Chesapeake Flotilla, which was mobilized against the British during the War of 1812. The Calvert Marine Museum in Solomons, Maryland, excavated the remains of the Turtle Shell Wreck from the Patuxent River. The excavation team found the well-preserved wreck and a variety of artifacts about 5 feet below the river's bottom sediments. Although the Turtle Shell Wreck was in remarkably good condition, not all wrecks are found intact. 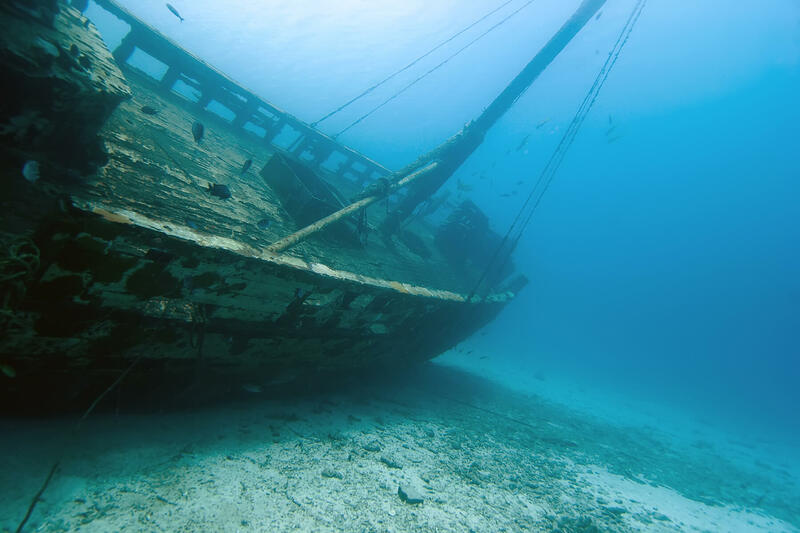 The initial damage that caused the ship to sink, as well as rusting, water saturation, bacterial decay and use by animals, degrade wrecks over time.